There's nothing better to me than checking-in to a great hotel! From the location to the ambiance, to the service and attention to detail, I am a hotel connoisseur through and through. It's a passion of mine and I'm constantly on the hunt for my next must-visit property. Discover my recommendations on where to stay across the globe. Ocean House is an iconic New England seaside resort offering highly individualized service, amazing amenities, and unsurpassed luxury. Timeless style, paired with its spectacular beachfront location, makes this resort the perfect choice for a glamorous getaway, especially in the summer months. Learn more about Ocean House and my recent stay. MTH Tip: Take a drive in one of their complimentary Mercedes Benz house cars to relive the Gilded Age with a day trip to the mansions in Newport. 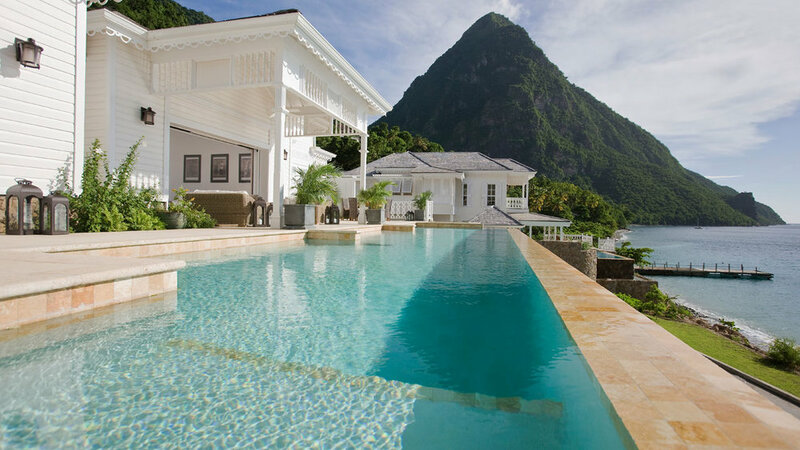 Sugar Beach, a luxury Viceroy resort on the island of St. Lucia, is set within a pristine rainforest on the site of an 18th Century sugar plantation and in between the country's iconic Pitons. The lush grounds sweep down to a stunning white sand beach and the Caribbean Sea for a view that's one-of-a-kind, not to mention the accommodations can't be beat. Each bungalow and villa on the property has a traditional yet effortless design with (bonus!) a private plunge pool. Learn more about this resort from my recent stay. MTH Tip: Make sure to spend time each afternoon relaxing in the floating loungers. Sip on a tropical drink (or two!) and take in the unrivaled view of the Pitons. I still daydream about it! 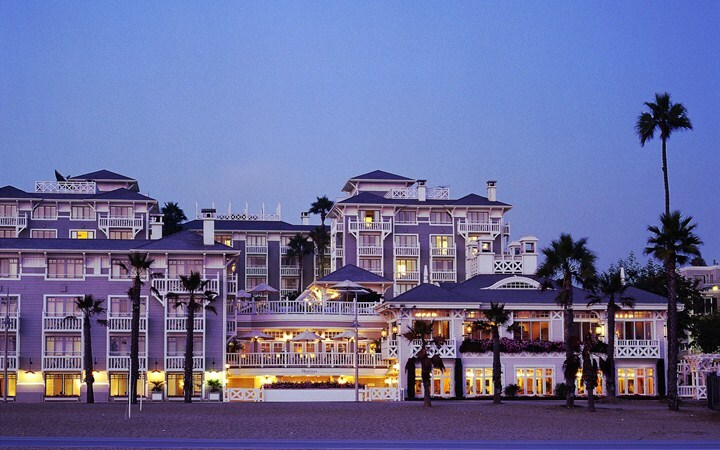 Quite possibly my favorite hotel of all-time, the ‘Pink Palace’ is my go-to in Los Angeles and needs no introduction. 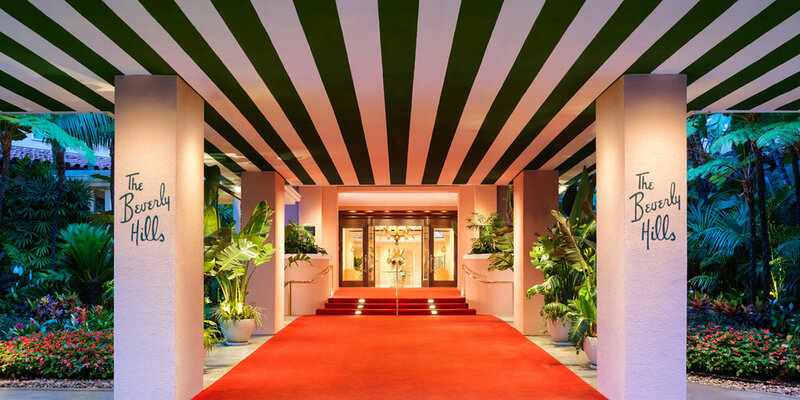 As soon as you walk through the doors you feel as though you've stepped back to Hollywood's Golden Age, with timeless glamour and legendary guests setting the stage. The Beverly Hills Hotel is luxurious, yet comfortable, with large rooms, fine finishings and world-class service. There's nothing like starting your day at the Fountain Coffee Room and ending it with a souffle at the Polo Lounge. I would move in if I could! MTH Tip: No secret here but no stay is complete without a McCarthy salad while lounging poolside. With a Bahamian beach chic vibe and the polished sophistication of a private estate, the One&Only Ocean Club is a dream come true. This Paradise Island resort offers tranquility and relaxation, along with an award-winning spa, delicious restaurants and a variety of activities from golf and tennis to yoga on the beach. The Ocean Club holds a special place in my heart, as it's where I spent my honeymoon, and I can't wait for my next stay! MTH Tip: As a guest of the Ocean Club, you have access to the pools, beach and facilities at Atlantis Resort -just minutes away- which is the perfect alternative if you're looking to mix things up for a day. Another hotel that's near and dear to my heart is The Broadmoor in Colorado Springs. This legendary Forbes Five-Star and AAA Five-Diamond resort offers an escape from the ordinary and modern details blend seamlessly with its European elegance. Here, the spirit of the West inspires the adventurer within, providing endless opportunities to explore the surroundings from fly fishing, horseback riding and waterfall treks, to golfing or lounging by the pool. MTH Tip: If you're looking to take your experience to the next level, enjoy dinner at the Penrose Room, Colorado's only Forbes Five Star, AAA Five Diamond restaurant. This day in age it's rare to find a restaurant where guests can dress up and dance with live entertainment, so it makes the perfect location for a special date night. Another standout property in the Los Angeles area is Shutters On The Beach. Set on a pristine stretch of coastline, Shutters is a luxury beach hotel that blends modern comfort with the ambiance of a classic SoCal. With blue and white textiles, handwoven Tibetan rugs, coastal artwork and views of the Pacific Ocean, each room feels as though it's your personal beach house. Plus, the location can't be more convenient, with the Santa Monica Pier next door and great shopping and restaurants around the corner. MTH Tip: Spend a morning pampering yourself at ONE Spa, and then head up the street for a delicious lunch at Ivy at the Shore- a classic LA staple. At The Chanler at Cliff Walk, Gilded Age elegance and hospitality provide a tailored experience that is quintessentially Newport. This historic mansion turned boutique hotel is the only lodging on the famous Cliff Walk and offers breathtaking views of the manicured grounds and ocean. 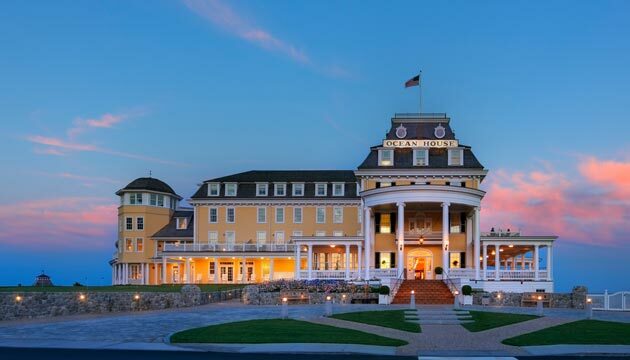 Each of the twenty guest rooms have a unique style, yet all are charming, cozy and reflect Newport's rich past. Just a mile from downtown and steps to the beach, The Chanler could not be more perfectly located for your Newport visit. MTH Tip: Not only should you enjoy the jacuzzi in your room, but take advantage of your own personal Bath Butler (yes, it's true!) and in-room spa treatments.